False eyelashes are the biggest fashion trends in this season. The girls with small eyes and thin lashes usually get these fashion accessories for getting glamorous appearance. There is exposure of the beauty accessories on various sources and it gets huge hits from the people requiring those things to look amazing. Eyelash enhancement is required by many females, especially the ones having thin lashes or small sized eyes. There are two main categories of false eyelashes available and you can either purchase them online or in the market stores. There are strip shaped and individual fake eyelashes. Strip eyelashes are used more than the individual ones. They can be applied quickly and last for long time. 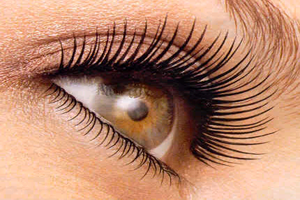 Women and teenagers prefer false eyelashes and in some cases, men also wear them. The style and shape of lashes depend on the person and the occasion on which they have to carry it. Some tips on wearing false eyelashes can be viewed here. Some eyelashes are often saved for special occasions and parties as they are a kind of different from the usual style. All women are not blessed with luscious eyelashes and they can draw more attention to your eyes. False eyelashes can give fullness to your own lashes by giving them thicker appearance. Review more about false eyelashes at http://www.teenvogue.com/story/prom-lash-options. There are many women who actually love fake eyelashes to appear impressive. There are colored eyelashes also available for matching your wardrobe in any party. They give luminous look and you will feel great by carrying them. If you’ve never tried false eyelashes before, it is always better to seek for help. You can check DIY eyelash application on Youtube or other beauty websites. Apply it to get an idea about doing it perfectly and get flawless application for looking amazing. Application of adhesive should be done in the appropriate way and use tweezers to fix it in the best way.